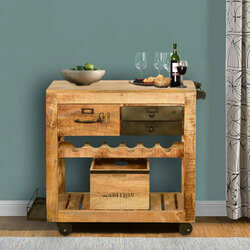 Serve your fine wine with a relaxed and easy style. 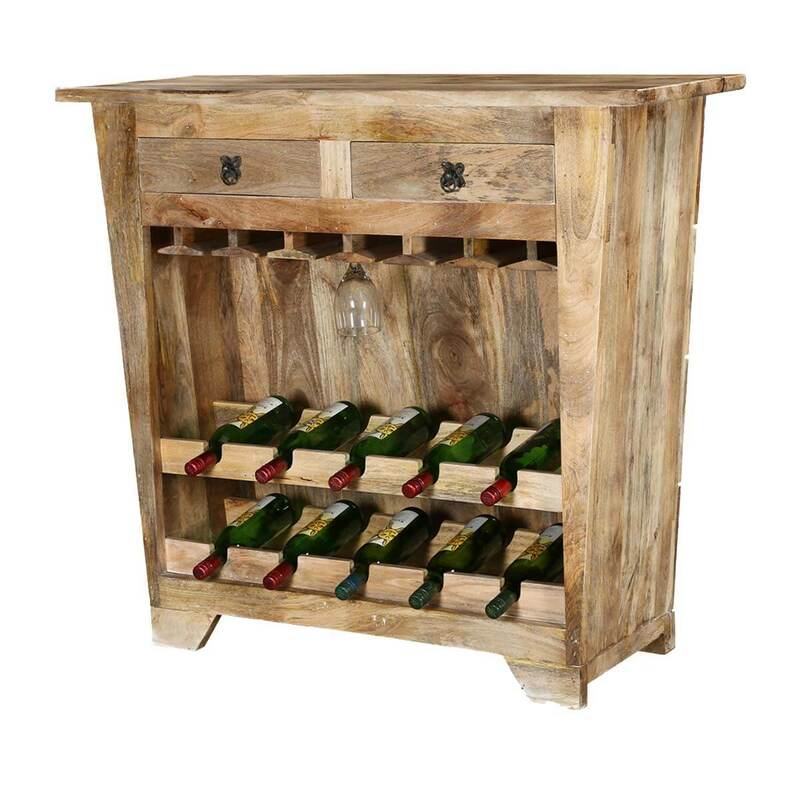 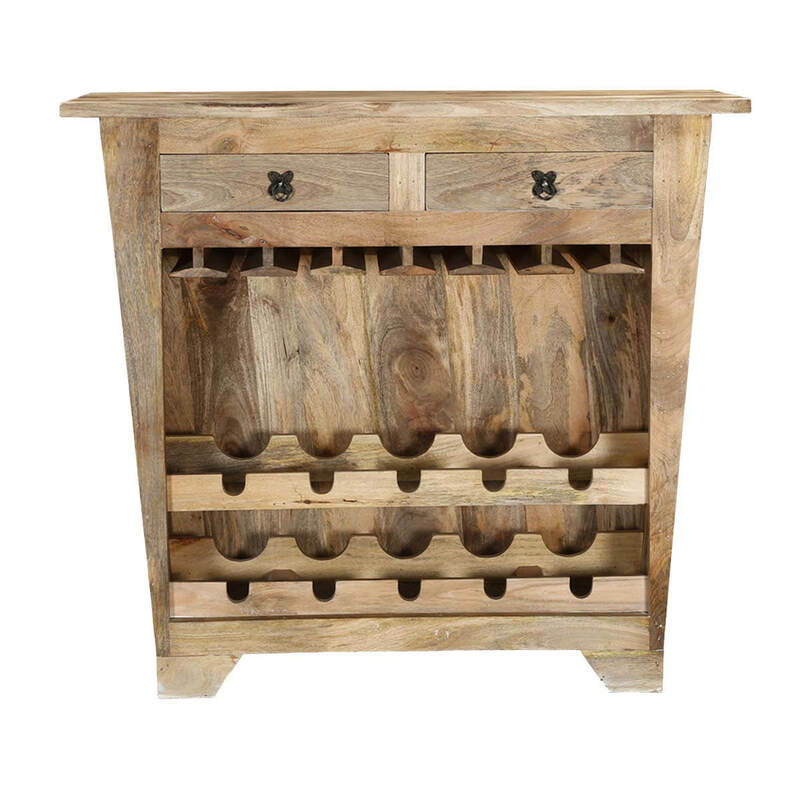 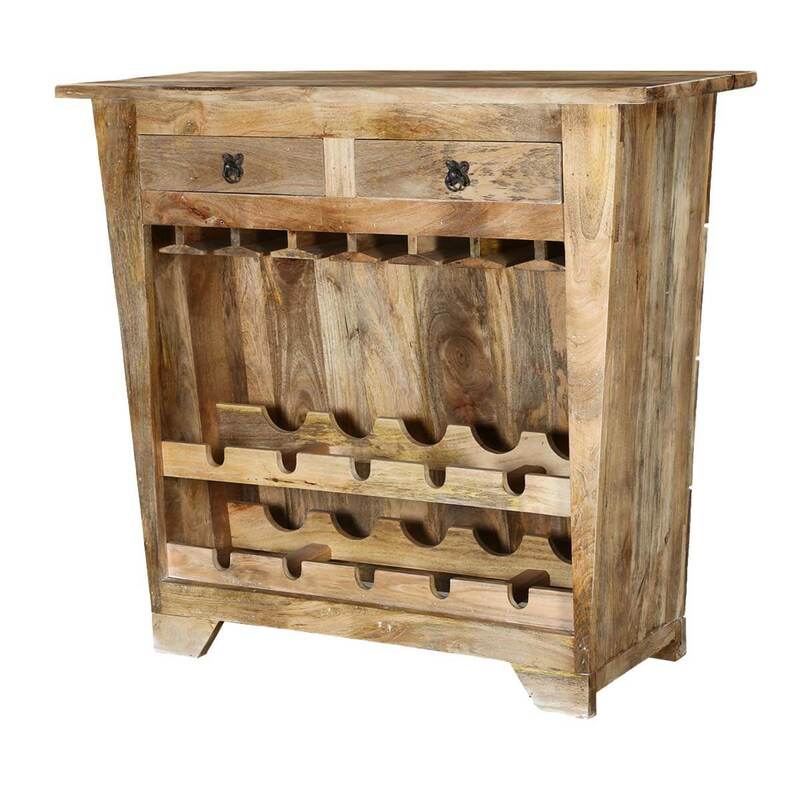 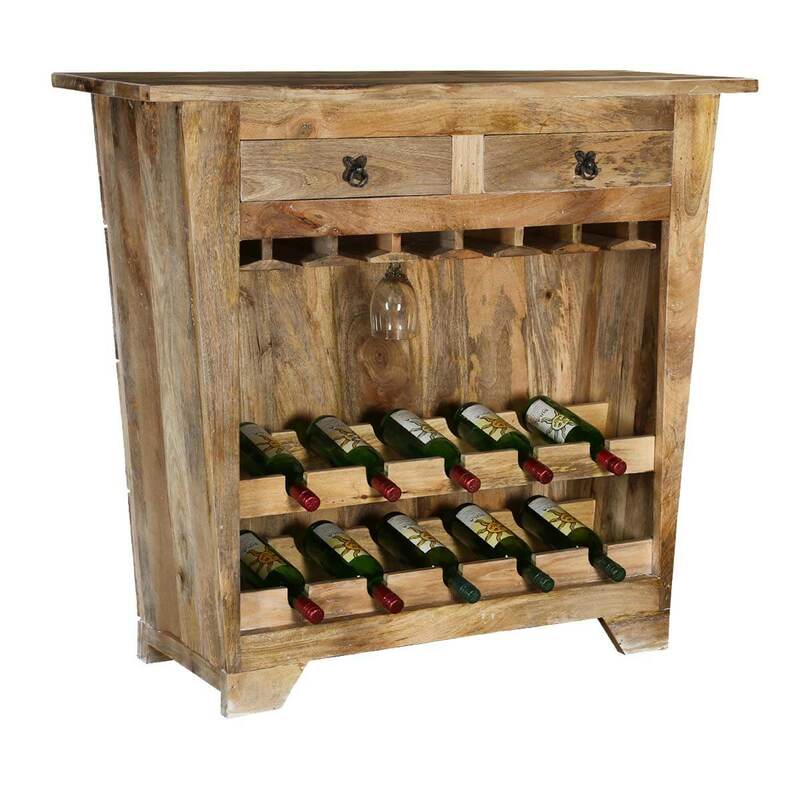 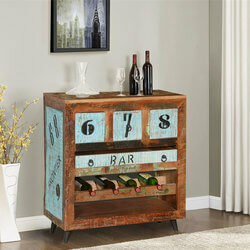 Our Modern Farmhouse Rustic Mango Wood Wine Rack Console Cabinet with Glass Stem gives you everything you need to entertain without leaving the room. 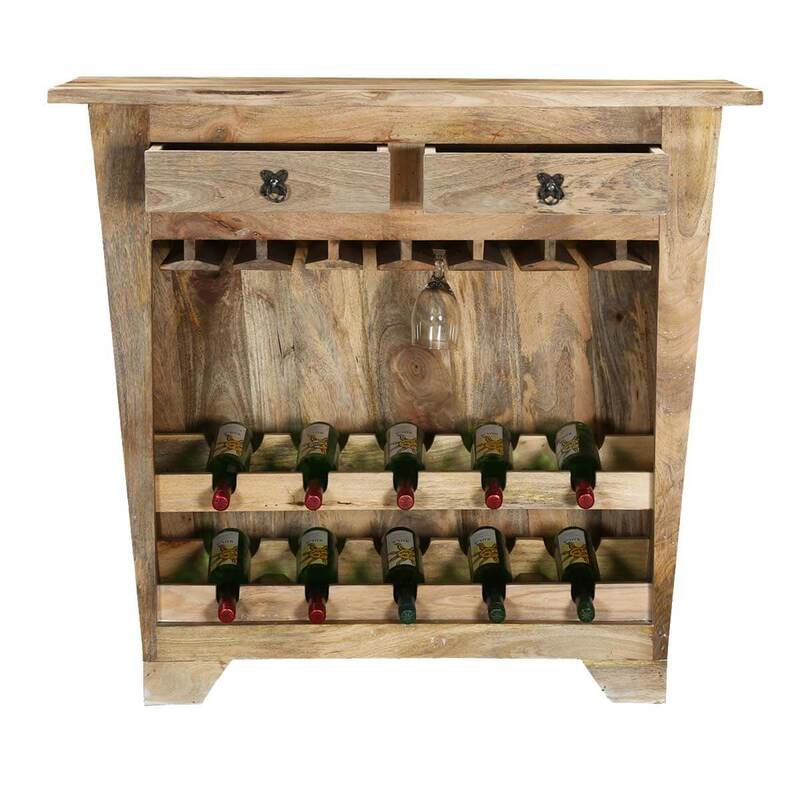 The wine console stands off the floor and has space for 10 wine bottles. 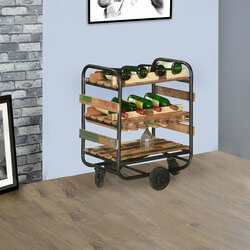 There are also two drawers and stem racks for hanging glasses. 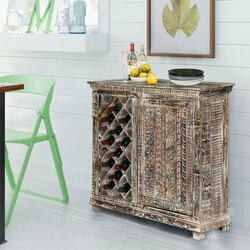 The counter top extends past the frame so there’s lots of space to hang out and serve your guests. 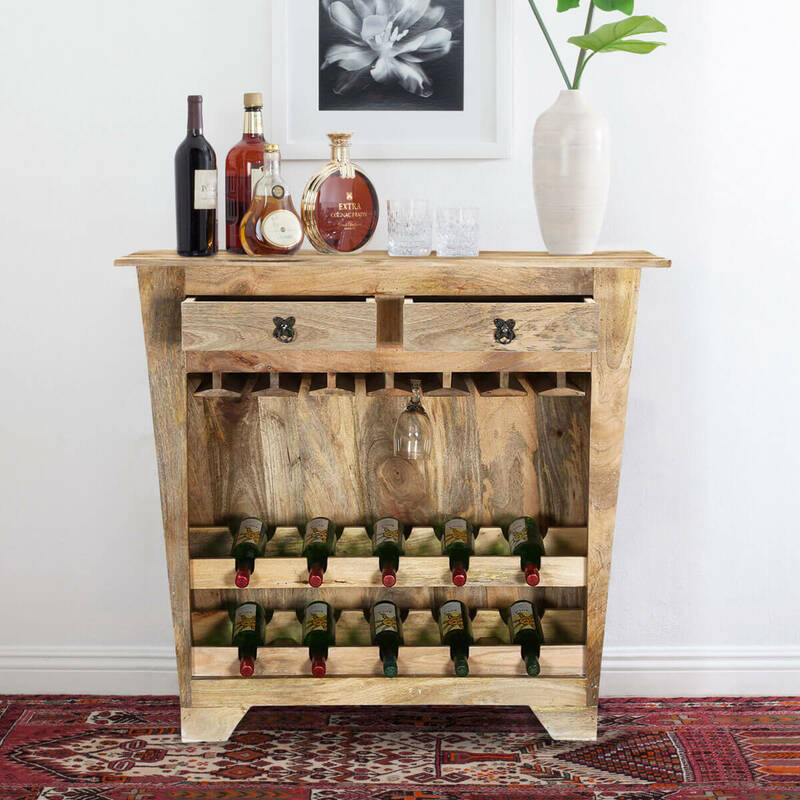 This smart freestanding bar console is built with solid Mango wood, a tropical hardwood grown as a renewable crop.